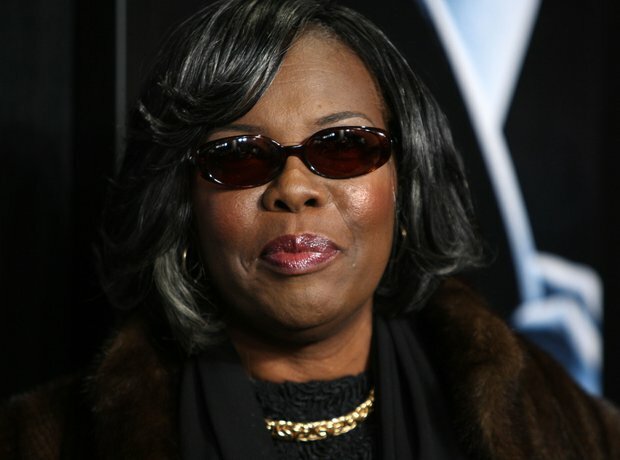 After Biggie Smalls’ mother had his murder case reopened in 2006, LAPD detective Greg Karding discovered new information linking Diddy to the murder of Tupac. Here's what we learned from the documentary everyone's talking about, 'Murder Rap'. 2. Karding believes the murders of Tupac and Biggie Smalls were related. The first thing to note is that detective Karding claims the deaths of The Notorious B.I.G. and Tupac were related. While investigating Biggie's death, he discovered new information linking both cases. 3. Did Puff Daddy hire hitmen to kill Tupac? Based on three years of working on the case, detective Greg Karding came to the conclusion that Sean "Puff Daddy" Combs put a $1m hit on both Tupac Shakur and Suge Knight, following the highly publicised rap beef involving himself and Biggie. Karding claims the music mogul had close gang ties in LA and hired Crips member Duane Keith “Keffe D” Davis to carry out the hit. 4. So who actually pulled the trigger on Tupac? Karding claims that Tupac was killed by Crips gang member Orlando "Baby Lane" Anderson. He alleges that the original hit was supposed to be carried out by "Keffe D" but plans were changed at the last minute after they unexpectedly pulled up on the wrong side of Tupac's vehicle. So Keffe's nephew carried out the hit instead - killing Tupac and injuring Suge Knight. Interestingly, Baby Lane also got into a fist fight with Pac at a Vegas casino hours before the shooting took place. 5. Was Faith Evans aware of Tupac's murderer? Biggie Smalls' then wife Faith Evans allegedly knew about Diddy's plot to kill Tupac. After the West Coast rapper was murdered, Keffe D claims that he contacted Diddy and Evans to let them know they were responsible for the death. 6. Does that mean Biggie was involved in Tupac's murder? No. Detective Karding claims that Biggie did not play any part in the murder of Tupac despite their well-documented rap beef. He says that B.I.G was not aware of Diddy's plans to kill both Shakur and his manager Suge Knight. 7. After Tupac died, it's alleged that Suge Knight paid a hitman to kill Biggie Smalls. After narrowly avoiding death in the murder of Tupac, Death Row Records boss Suge Knight allegedly retaliated by hiring a Bloods gang member to kill The Notorious B.I.G. The hitman shot and killed Biggie after he was travelling home from a party thrown by VIBE magazine. Interestingly, the documentary also claims that Knight saw Tupac's killer and actually went to the same school as hired hitman Keffe D.
8. So, who actually killed Biggie? 9. The murder case was dropped after the LAPD proved they were not involved in a conspiracy. 10. What happened to the alleged murderers? Both Orlando "Baby Lane" Anderson and Wardell "Poochie" Fouse have reportedly died of apparent unrelated causes. So even if the claims made in the documentary were true, the men who were allegedly directly responsible for the murders of Tupac and Biggie are no longer here to face punishment.